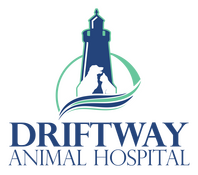 Driftway Animal Hospital is happy to provide free initial physical exams to all pets adopted from the Scituate Animal Shelter as well as other animal rescue organizations. Print the coupons on our Coupons and Special Offers page, and bring it with you for your initial visit. The coupon is good for 10 days after adoption. We support a variety of rescue groups and shelters, providing discounted veterinary care to these wonderful organizations. Our doctors are proud to care for the Scituate Police Department dog, Tango. We also give hospital tours to local children's organizations such as Brownies, Girl Scouts and 4-H.